Commenting on the results of Turkey's constitutional referendum, which was declared by President Recep Tayyip Erdogan as a 'yes' vote to expand his presidential authorities, Ahmet Erdi Öztürk, research assistant at the University of Strasbourg explained to Sputnik why "no one is actually happy with the results, even Erdogan." 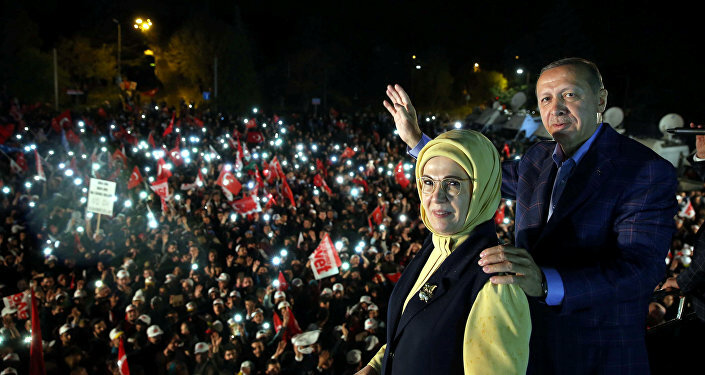 On Sunday, President Tayyip Erdogan declared victory in a referendum to replace Turkey's parliamentary system with an all-powerful presidency and abolish the office of prime minister, with the "Yes" camp receiving 51.5 percent of the vote. According to many politicians, such a narrow margin of victory by the supporters of constitutional change demonstrates a highly "polarized society." Radio Sputnik discussed the results of the controversial vote with Ahmet Erdi Öztürk, research assistant in the Faculty of Law, Social Science and History at the University of Strasbourg. "It is fair to say that no one is happy, even Erdogan, with the results of the referendum," he told Sputnik. He further elaborated that the results show that polarization of Turkish society "has reached its peak." While the narrow majority is eager to hand over their power to Erdogan, the rest of the society is "strongly against him and his authoritarian and pro-Islamic policies," he said. "This means that this polarization and this struggle are going to continue not only at a political level but also at a social level of society. People will know this when they see each other in the streets. And this will be very hard to sustain," Öztürk told Sputnik. The social scientist explained that Turkey has been under "one man rule" for quite a long time already, since 2013. In this respect, Erdogan has "merely constitutionalized" his power. However, it is "crystal clear" that the educated part of society and the young generation are still against him. It will therefore be very hard for him to run the country with this "authoritarian habit" because the economy will soon start going down, as it happens to all authoritarian systems around the world, he said. 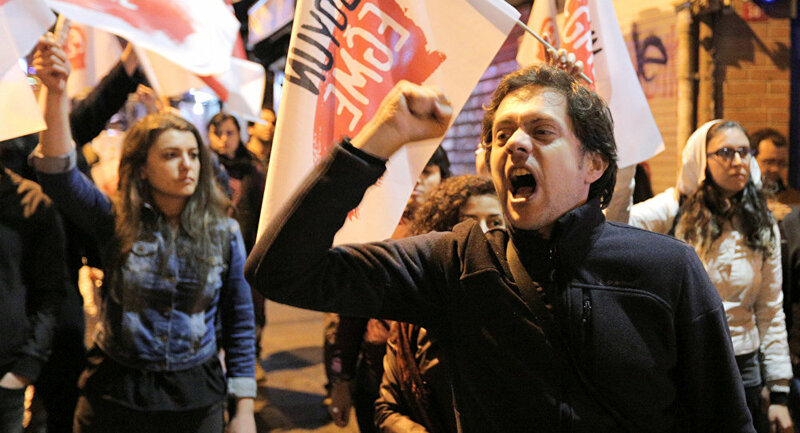 Öztürk also commented on a possible reversion of the results of the referendum, as is being urged by the opposition, saying that the vote count is unlikely to change, as Erdogan has been in control of the whole state apparatus for a long time already. He will "never even" allow any result "other than yes." He then said that the struggle will not be confined to Turkey, but will spill outside the country. The Turkish diaspora residing worldwide, he suggested, will also be divided into two camps, hence marking a "new area for the struggle."